PATRIOT™ is the perfect cost effective, full 6DOF motion tracking solution for applications requiring up to two sensors. With an update rate of 60 Hz per sensor, PATRIOT delivers the durability and high level tracking standard Polhemus is known for. As with all Polhemus trackers, PATRIOT utilizes our proprietary AC electromagnetic technology. PATRIOT can be used for a wide variety applications, and is ideal for high volume training simulators. In fact, it’s become the trusted, reliable solution for simulators around the globe. The PATRIOT is the trusted choice to power training simulators for welding, spray painting, and ultrasound trainers—to name just a few. Because no line-of-sight is needed, Polhemus sensors can be easily embedded, creating a realistic training solution that mimics the real-world environment—in real time. Also, the system is a popular solution for HMD (Head Mounted Displays), with one sensor on the hand and the other attached to the head apparatus. PATRIOT’s low-cost, easy to use and embeddable sensors make it the perfect solution for a wide variety of applications and a top choice for OEM’s. 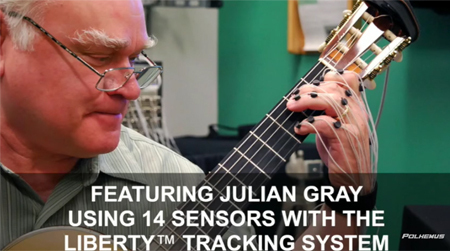 Patriot uses Standard Sensors and is compatible with Micro Sensors. See the PATRIOT brochure for a full description and product specifications. Portable and Easy to Use: The lightweight system includes a systems electronics unit, a sensor and a source. Installation takes just minutes and no user calibration is required. 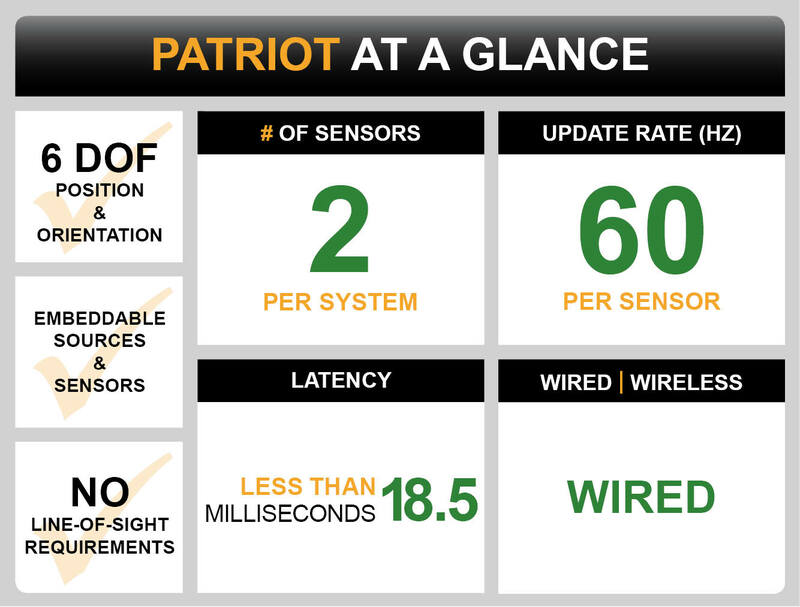 Is PATRIOT the right tracker for you? Polhemus head trackers have flown on F-4, F-101, F-106, F-14, F-15, F-16, and F-18, A-10, C-130 and numerous other aircraft.